You hesitate between sleeping in a tent to camp in an authentic way or renting a mobile home to benefit from a guaranteed comfort? Don’ t wait any longer! 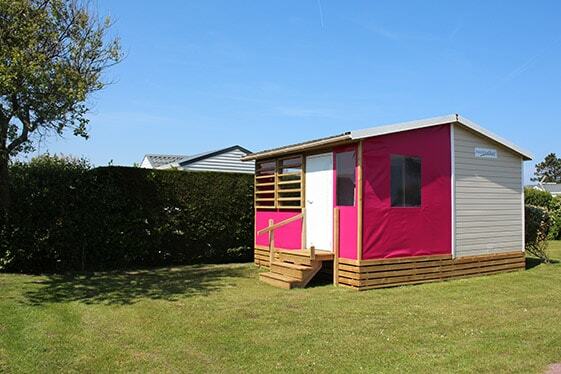 Tithome offers the spirit of camping, the comfort in addition. Stay from one night in low season : the Tithome is a perfect holiday accommodation for hiking or cycling lovers, who want to stop for an overnight or more along their route. 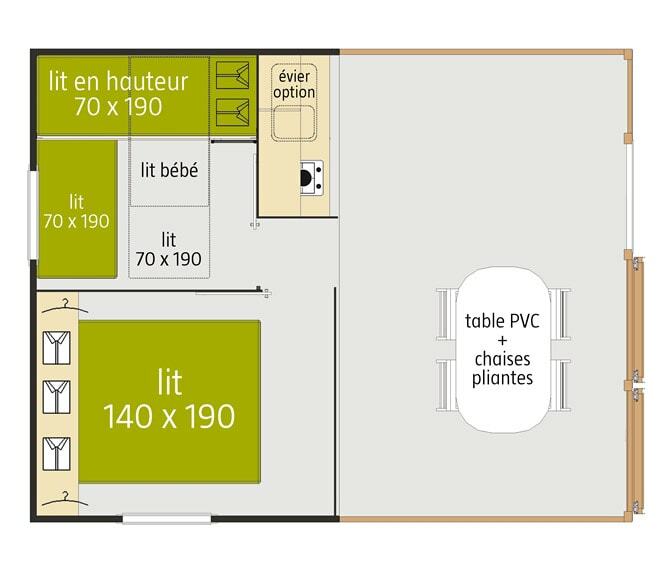 Experiment a new attractive and affordable concept with our Tithome. In the mobile home part, sleep in 2 comfortable bedrooms with real cozy beds. 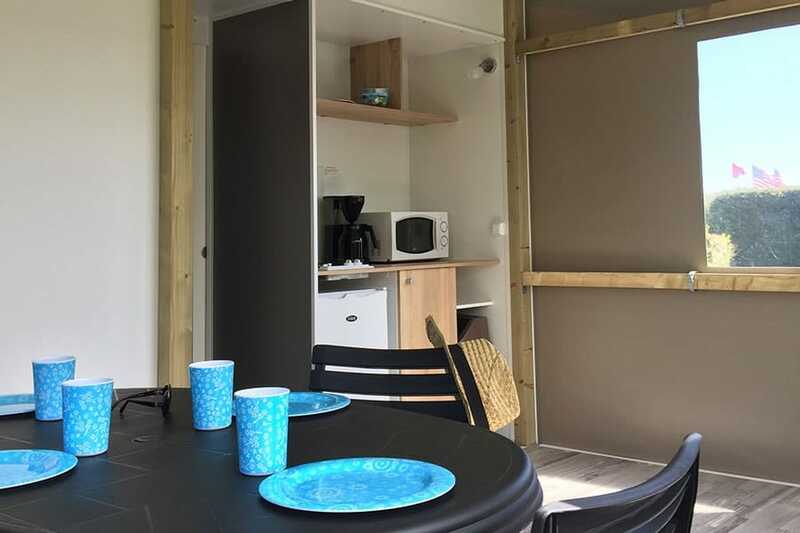 Under the canvas area, share happy moments with your family or your friends in the communal room with an equipped kitchenette. 1 dog allowed. Dogs like American Staff or Rottweiler are forbidden. 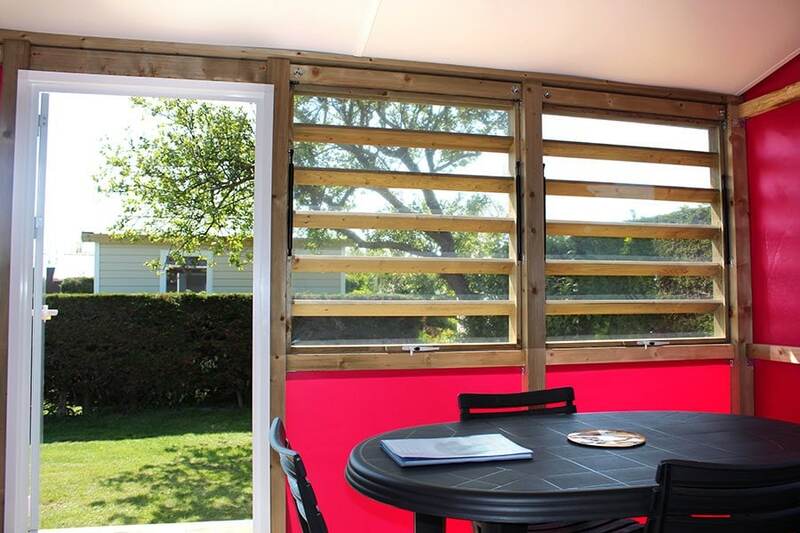 For your comfort and your health, our mobile homes, wild west wagon and chalets are non-smoking. But not to worry! They are situated close to one of the sanitary blocks of the campsite and benefit from a sunny exposure which guarantees a nice temperature all day long. Le Cormoran offers you a full range of equipment and services on site to let you spend the most comfortable stay possible in Normandy. 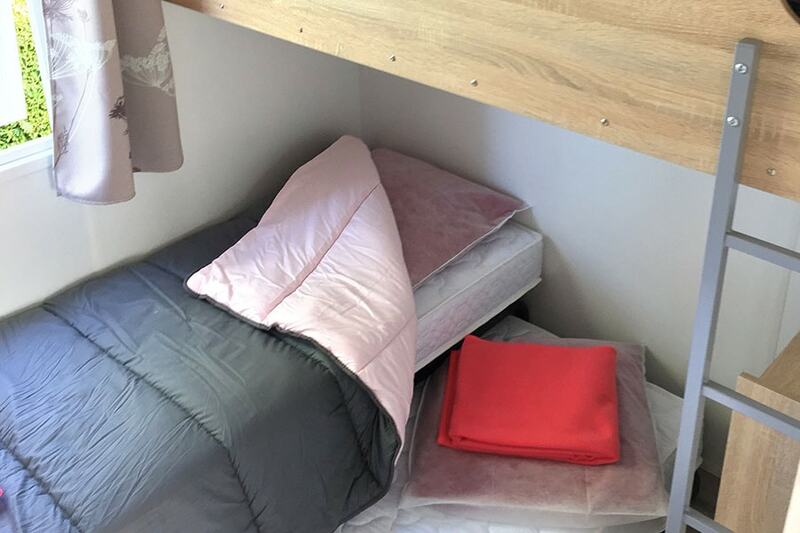 Remember to bring your own sheets and towels or to rent it during your booking. to visit the region once on site, 2 cars are available on the campsite as well as bicycles for adults and children. Hot showers, washbasins, sinks, WC, washing machines and tumble dryers, everything is planned for the comfort of your family. 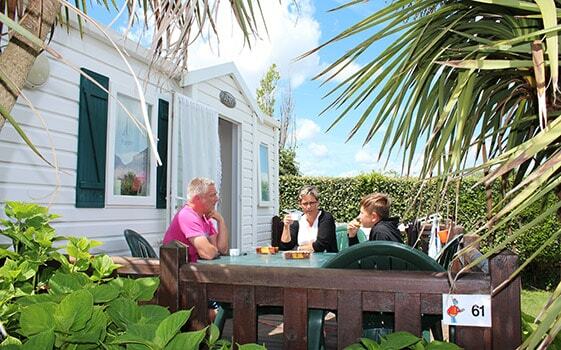 pick up a great idea for a day out on your route, we have a lot of visits and activities to propose you in la Manche. Many activities are proposed on site : game room, sport fields, playgrounds for children, mini-farm… Our aquatic park with a covered and warmed swimming-pool and paddling will allow you to take a bath all season long and to enjoy water games even with your youngest. 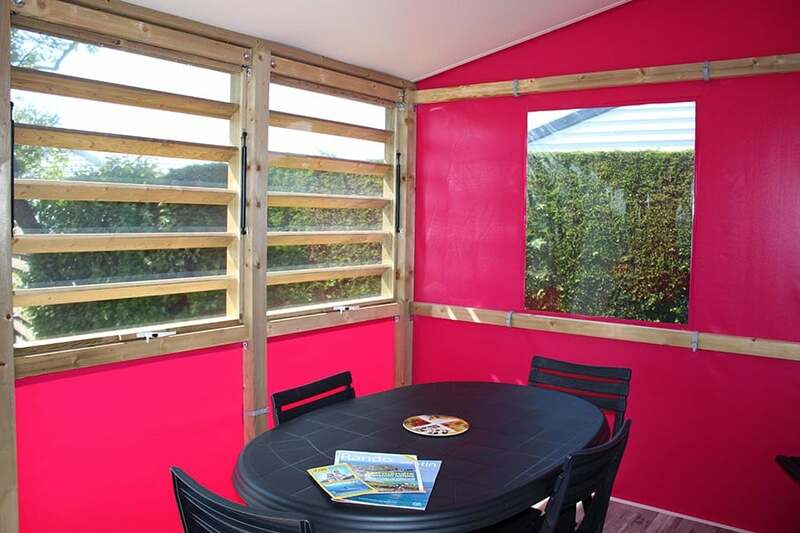 Availabilities and booking of a Tithome, accommodation in the heart of Cotentin. 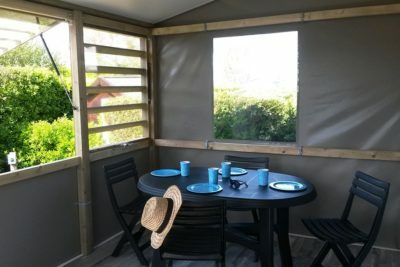 To change from bed-and-breakfasts or guest rooms, profit from your stay in Lower-Normandy to try this new unusual accommodation. In low season, you can book the Tithome from 1 night and choose freely the day of your arrival. In high season, the booking is for one week minimum and arrivals are on Saturday. 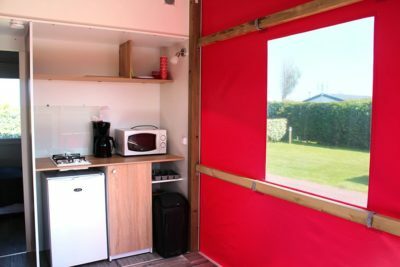 Our Tithome rental will please the itinerant campers looking for short stays along their hiking or cycling route. 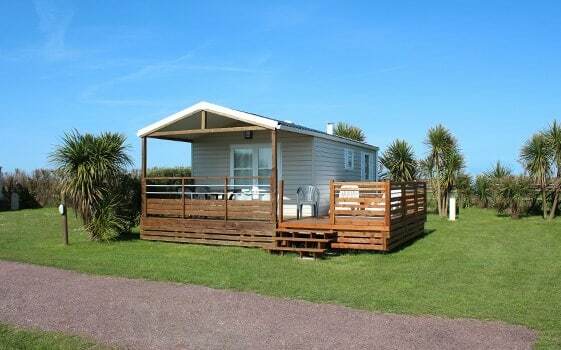 The campsite Le Cormoran is situated close to the coastal footpath GR223 on the portion going from Utah Beach to Sainte Mere Eglise.  The GR223 is a long marked hiking trail set up by FFRP, the hiking French federation who edit topo-guides for the walking lovers. It goes along the Norman coast where you will admire long beaches, green valleys and cliffs eroded by the Channel. Hiking is perfect to fully enjoy nature holidays in Normandy. It awakes your senses, makes you explore new horizons, new landscapes and makes you discover in a different way our region with a strong historic and cultural heritage. Following the GR223 from Saint Vaast la Hougue to Grandcamp Maisy, you range the Regional Park of the Marshlands of Cotentin and Bessin. Discover the protected fauna and flora of 30.000 hectares of bocage : favourable environment for the nesting birds to breed. 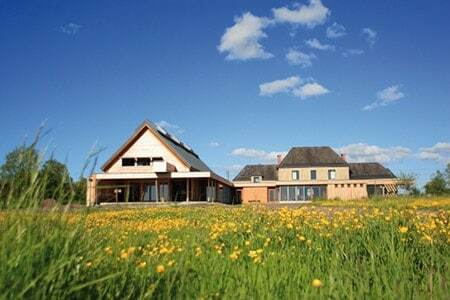 You will be delighted to see some white storks, Kentish plovers or Eurasian curlews… The Maison du Parc in Saint Côme du Mont organizes guided visits, workshops and exhibitions all year long to make you discover this preserved naturel site. On your way, make a stop on Utah beach in Sainte Marie du Mont, for a canoe kayak session with the nautic club Avel Mor, what will complete your nature stay! To find out other hiking routes which could interest you, don’t hesitate to contact the Tourist offices who will indicate you other topo-guides. “Swiss Normandy” and the Auge region also offer beautiful routes to walk on with you family and friends. For biking enthusiasts, leave for adventure on the routes of the small Tour de Manche. 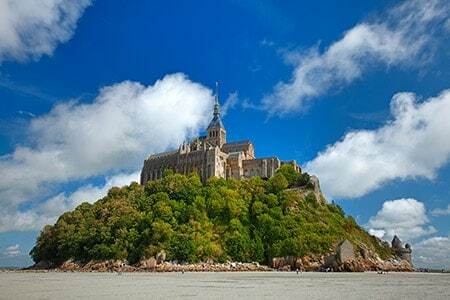 On this circuit, you will discover Le Mont Saint Michel, on the edge of Normandy, the Regional Park of Cotentin and Bessin, the D-Day landing beaches as well as Jersey, a Channel Island.